Exotic and tropical, cultured and historic, Thailand is a wondrous kingdom with his “land of smiles” reputation. Find travel information about Thailand. 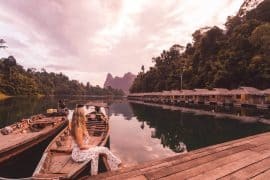 What does it cost to travel Thailand, how to travel through Thailand or what is the best season to travel Thailand? It’s all written down for you.